The Building Trust Between Minorities and Researchers project is a Bioethics Research Infrastructure Initiative funded by the National Institutes of Health (NIH) as part of the federal recognition of the importance of fostering greater participation rates of racial and ethnic minority populations in research. Although health and medical research has been instrumental in improving the health of Americans, the underrepresentation of minorities in research has limited their ability to benefit equally from scientific advances. One of the main goals set forth by the Building Trust project was to create training and educational programs designed to increase the participation of minorities in public health and biomedical research and to strengthen the capacity of researchers and community members to work effectively with each other. We have developed two curricula to help achieve this goal, one for community members, and one for investigators, research staff, and IRB members. Leading this project are Principal Investigators Stephen B. Thomas, PhD, and Sandra C. Quinn, PhD. Dr. Thomas is a Professor of Health Services Administration in the School of Public Health and Director of the Maryland Center of Health Equity. Dr. Quinn is the Associate Dean for Public Health Initiatives, a Professor in the Department of Family Science, and Senior Associate Director of the Maryland Center for Health Equity. Both are recognized as two of the nation’s leading scholars in the effort to eliminate racial and ethnic health disparities. Increase the participation of African Americans, Hispanics and other minority populations in public health and biomedical research, including clinical trials. Strengthen the capacity of investigators, institutional review board members and other research personnel to work effectively with minority communities. Create a sustainable infrastructure of training and educational initiatives that can be evaluated over time to determine their impact on improving minority participation in research. We live in a time of great advances in medical science and public health. Almost every day, the media reports the latest medical research discoveries. We see advertising for new drugs nightly on television. Health care providers utilize new technologies with their patients, and many people, in their daily lives, are adopting new habits that improve their health. Research makes this all possible. Unfortunately, too few people actually take part in research. That reduces our ability to reliably test new drugs, new treatments and new programs to improve health. When people from all racial and ethnic backgrounds are not part of research studies, it makes it more difficult for researchers to be certain that their research findings can safely apply to all Americans regardless of their gender, race or ethnic background. We know that there are many reasons why people hesitate to participate in research. We also know that many people participate in research because they believe that they are helping others, even future generations. We are excited to bring you this website in hope that it will help you, your family and your community learn more about research and how you can become involved. We hope you share this with others in your community. Thank you for joining us and helping to make all Americans healthier. 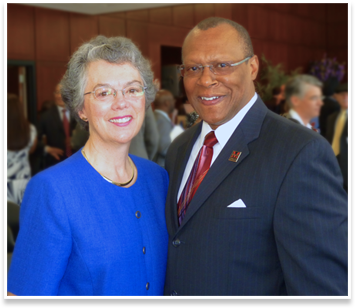 Stephen B. Thomas, PhD, and Sandra C. Quinn, PhD.